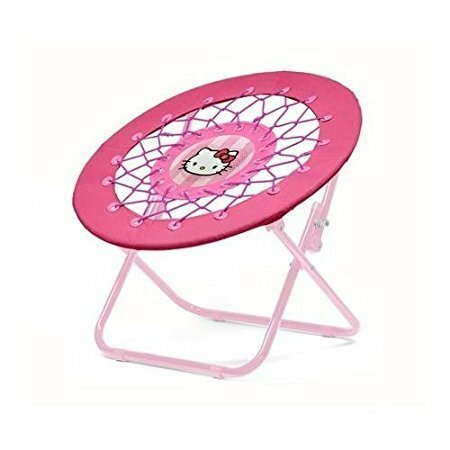 Add some bouncing fun to your child's room with the Sanrio Hello Kitty Web Chair. Bungee cords with a canvas seating attaches to a sturdy steel frame creating a comfortable, sunken seat. It is perfect for playing video games, reading, lounging, or relaxing. The Web Chair also folds making it easy to store when not in use. Perfect for the active small child. Dimensions: 23" W x 23" L x 17" H.